Established in 1909, Jones interiors is a well established family business supplying the trade within the field of interior design. However it was becoming increasingly apparent that the company was falling behind in terms of their communication with their marketplace. 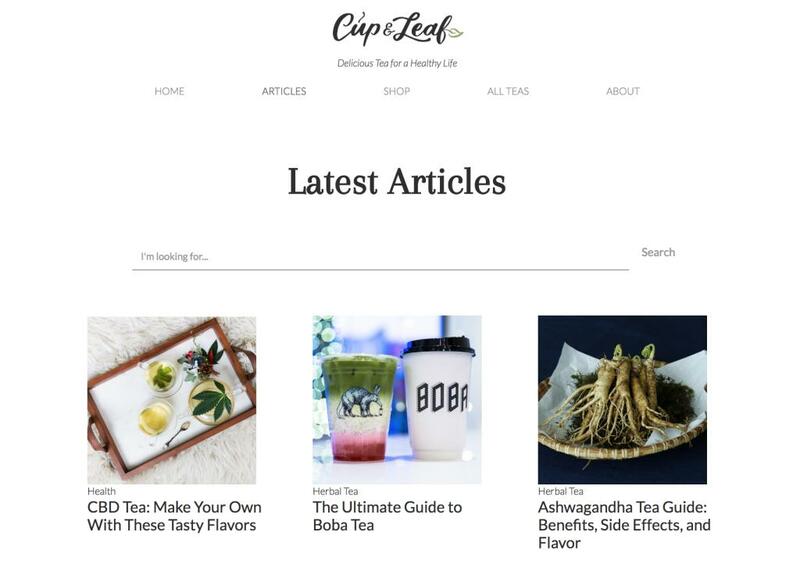 Though successful, with a strong visual style & brand, they were conscious that the companies digital presence did not reflect their position in the market. All marketing materials & communication was handled either face to face or through printed materials, including comprehensive printed product guide which was updated and reprinted each year. With all materials now produced by an in house design team, they are all high quality but costly to produce and where not getting the visibility they deserved. 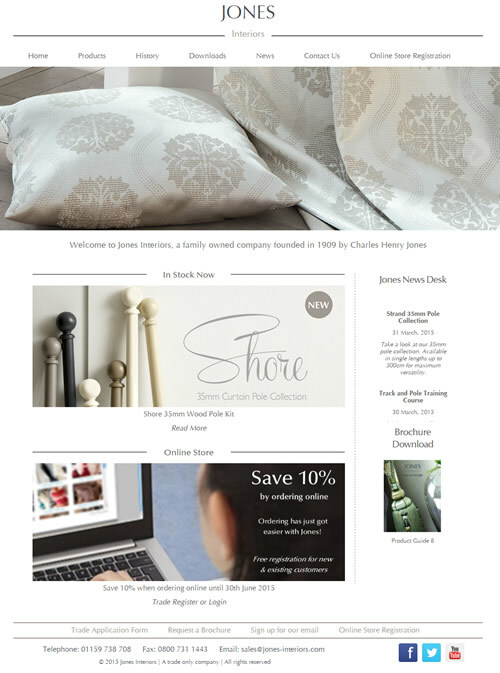 The website has become the hub of digital communications, adequately reflecting the stylish and modern Jones-interiors brand, whilst at the same time being flexible and easy to update with news and information on new product ranges as they occur. In addition, paper forms (account application, order forms etc), have also been digitized and made available online thus improving customer service and reducing administration. Finally, the website is also now integrated with a new online ordering system, and a digital version of the product guide, now converted to an interactive and searchable “digital book”. 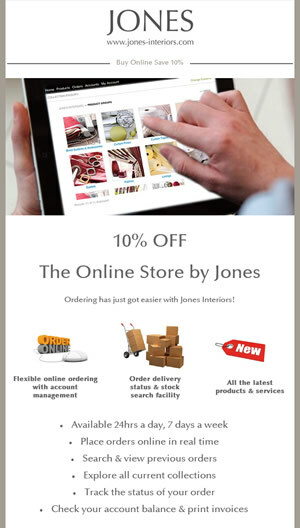 In addition to the website, Jones have now also implemented a regular programme of e-mail newsletters informing customers of offers, new products and new services from Jones Interiors. The email which is regularly send out to customers and contacts always receives great feedback from recipients. Looking to the future, the new website will become the hub of all digital communications acting as a platform from which to increasingly promote the Jones-interiors brand through the full spectrum of media both on and off line, including the use of social media to further engage with customers and further develop the brand.